I bought this stroller looking for something that was lightweight and folds really small and great for travel. It so far has been wonderful a quick one handed fold sytem that is light that worked really well on the train and small car boots. I love the pattern and the colour we picked the cactus green because it’s so different and out there. The rain cover was a bit tricky to figure out at first but you get the hang of it really quickly and there’s even a storage space for that. The wheels struggle a bit with wonky paths and grass but for normal living on pavements and shopping it’s brilliant. It’s got quite a big basket as well that you wouldn’t think it did. Front wheels fall off. Back heavy. Lay the seat flat, and the buggy then tips back a lot- going over bumps etc. Even more so when hanging shopping 0n a buggy clip. The cord the raise the seat back up gets screwed up. Steering is good, however I found that it sometimes tilted sideways going round corners. The bell is very annoying as I kept catching it by accident. Am currently borrowing this stroller as we were looking to buy one for when our little one is ready for one. Am so so disappointed!! It's uncomfortable to push (probably as I'm only 5ft2) I feel like my arms are up in the air! I keep kicking the break on as I walk. The hood doesn't shelter my little one from the sun but this is most likely cuz he's a bit small for it. 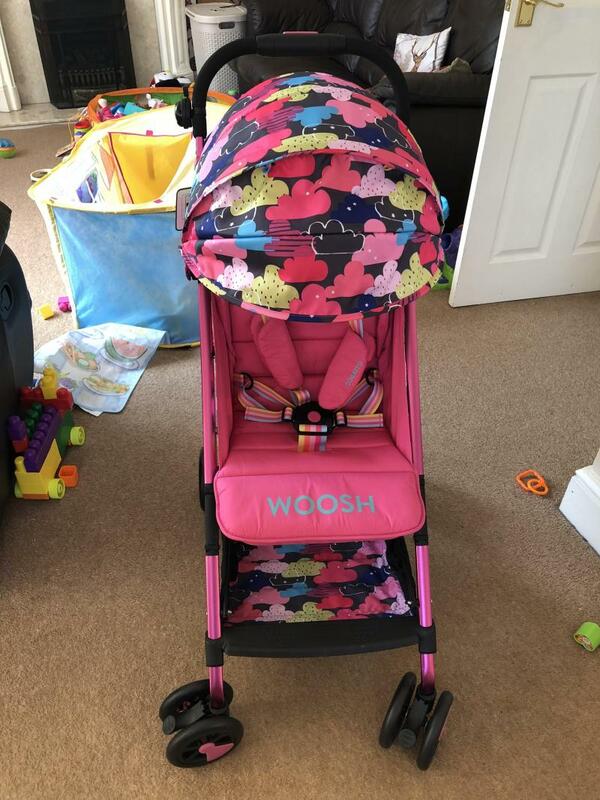 I own a cosatto woosh in the clouds design and find this pushchair to be a great purchase. 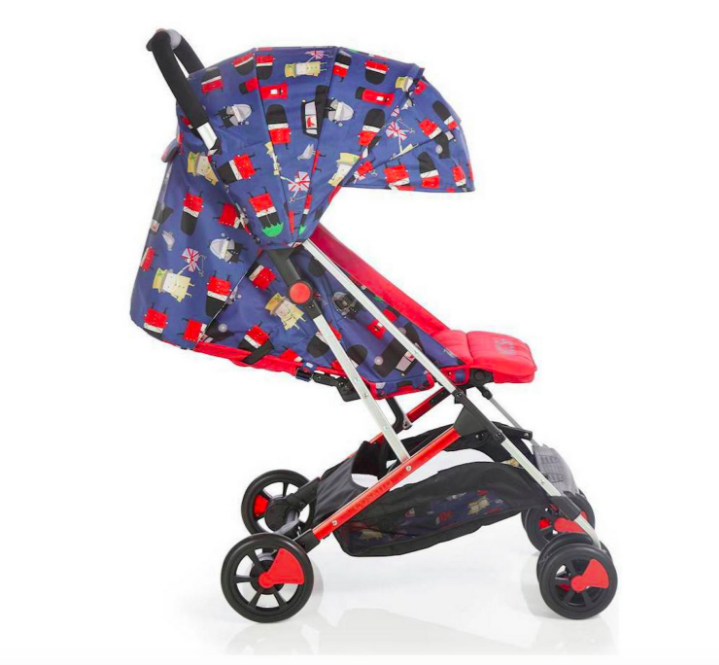 The pushchair is avaliable in different designs which turn heads in the street as they are very unique looking. The cosatto woosh is extremely compact and so suitible for those with a small car like myself (suzuki swift). It still leaves me with ample boot space once folded into the boot. The pushchair is extremely lightweight and easy to steer. 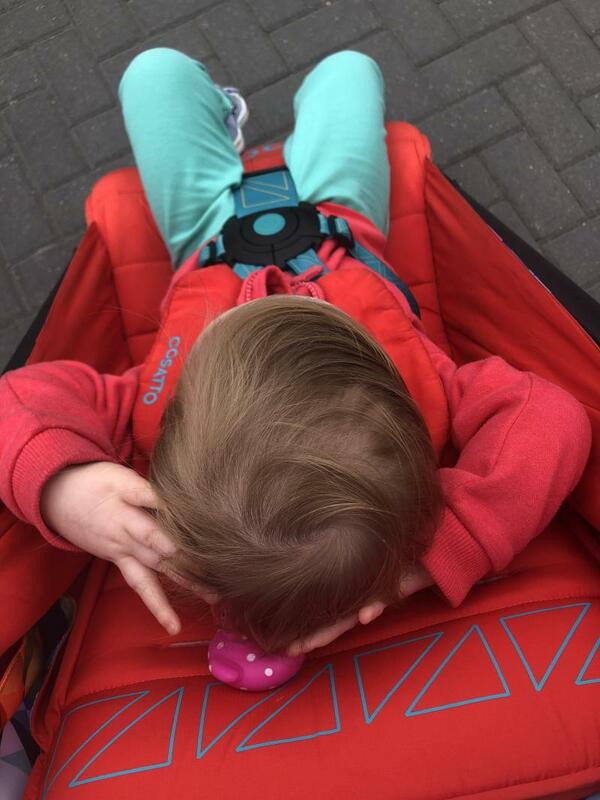 My daughter is now 2 years old and still seems comfortable in this pushchair. The straps are easy to fasten and adjust and remain very secure once accurately adjusted. The pushchair is easy to fold down though id say it can sometimes be abit temperamental to click into place when setting up. I am 5ft tall and find this pushchair great for my height. My partner however is 6.4ft and finds this pushchair somewhat difficult to use as the handle is not adjustable. The break is in the centre of the back rather than next to a wheel, my partner has accidentally knocked the break whilst pushing the pram due to having big feet. I haven't experienced any difficulties personally. I brought this pram for my holiday and it was AMAZING! The smaller wheels meant it sometimes struggle on the foreign unmaintained ground but not very often and my child remained safe and comfortable which is the main thing, very easy to push and stear and very eye-catching! Very lightweight and easy to steer and store. The hood extension is brilliant and protects baby. 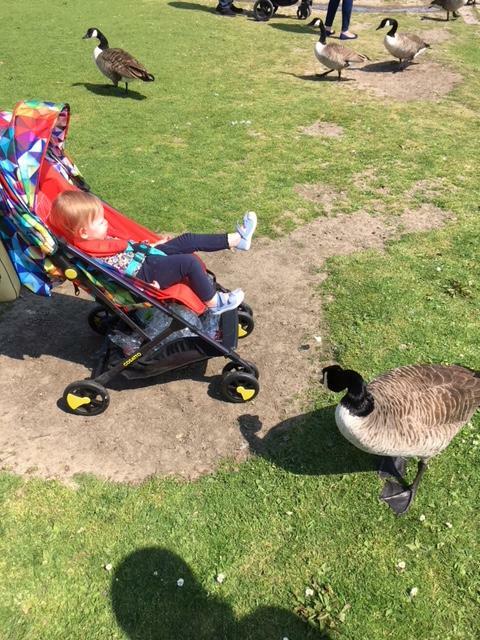 We are very happy with our Cosatto Woosh stroller. The steering is so lightweight and easy and toddler loves it and seems very comfortable in it. We had a few problems with it when the wheels kept coming off but Cosatto offer a free four year guarantee. Their customer service was absolutely superb and they collected the stroller and fixed the issue with no problems at all. Would highly recommend this brilliant product not just for how good the stroller is but also how good Cosatto as a brand are. This pushchair is the perfect product if you are on the move a lot. It is lightweight and so easy to put down and up. It also takes up barely any room in the car when folded down. So much so you can carry it easily with one hand. The only negatives I would say are that it is not the comfiest of puschairs. I brought this pushchair as I need a compact one for my car as I only had small boot. I love this pushchair as it's lightweight, easy to put up and down, fits in my boot and still leaves plenty of room for shopping. It has a little pocket on the back for keys and phone to go in too. I bought this pushchair because we wanted something smaller and more lightweight for shopping trips and the summer months. The fact that this was made by Cosatto and weighed 6kg was the seller for us. And it doesn’t disappoint. This pram is so light I can lift it one handed and carry it around with ease and it takes up half the boot of my tiny Nissan MIcra. It’s incredible! One of the selling points is that you can unfold it one handed and although this is true now, when I first got it it was so stiff to unlock and required two hands. The hood comes down really far and provides great shade, the raincover clips on easily and is small and kept in a net under the seat so you get the full size of the basket which makes a nice change and the basket itself is nice and large. It also has pockets on the back for your phone and keys so I can go out without carrying anything - it’s changed my life! 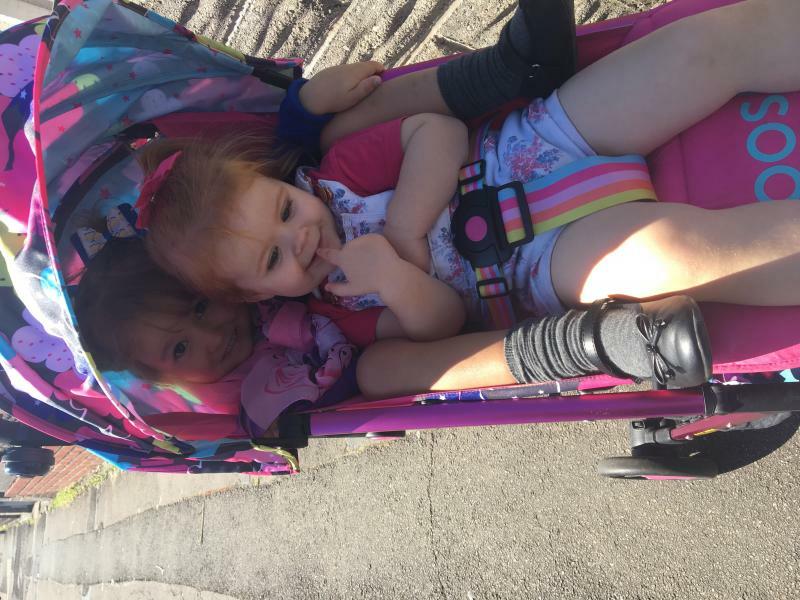 My mum finds it difficult to fold down as she has arthritis in her hands but apart from that little fault, I couldn’t recommend this pushchair enough! I’ve been using my Woosh now for about a week and I am so impressed. I am a big Cosatto fan. I love their quirky designs and stylish products. 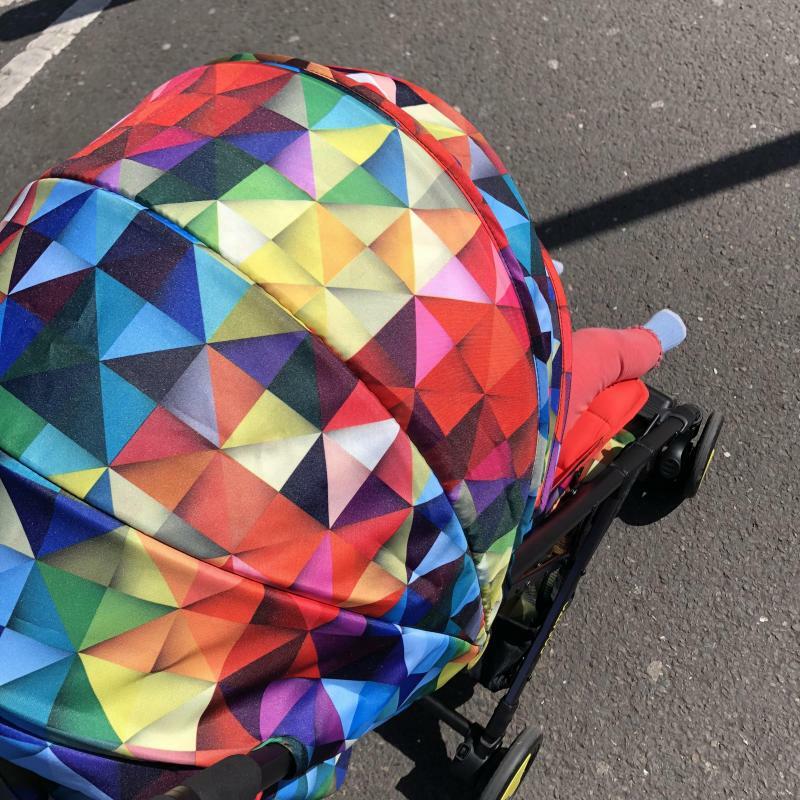 This Pram is everything I need because it folds small and has a one handed fold, I can use it for my baby or toddler as it has a generous weight limit and it is so easy to push. I have the dragons pattern and absolutely love it but I just wish there was a cosy toes to go with it for the chilly winter months! This is an absolutely fantastic pushchair. 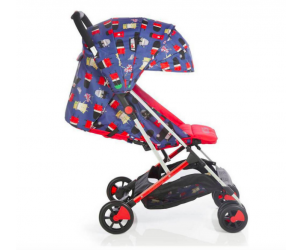 It’s easy to push, it folds down small and comes in a range of fabrics. My daughter and I absolutely love the bell that comes with it. It would be great if it came with a shoulder strap to make it easier to carry. The Cosatto Woosh Stroller is a compact and lightweight from birth pushchair with big solutions. The Lightweight, sturdy aluminium frame weighs only 6kg. Foldable with just one hand, travel has never been easier. Suitable for children up to 25kg. Handle height adjustable from 104 to 104cm. Pram suitable for babies up to 25kg.